33 m monument with light cannon that shoots out a ray of light over the city. 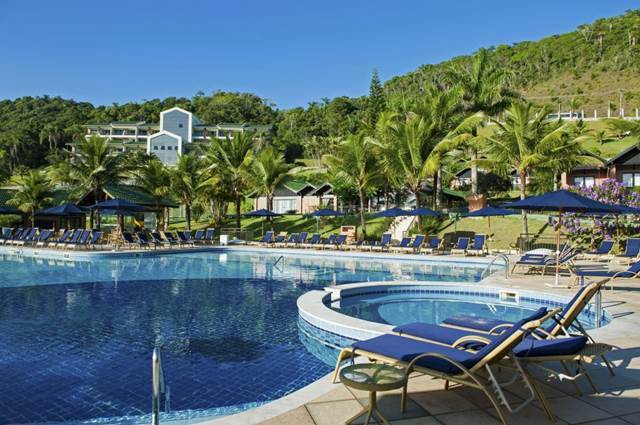 Located at Morro da Cruz, at an altitude of 154 m, with a beautiful view of Balneário Camboriú. There is also a restaurant, diner, souvenir store and square at the location, where live shows take place during the summer season (from 7 pm). December to February, daily, from 10 am to 1 am; March, daily, from 10 am to midnight; April to November, Monday to Friday, 4 pm to midnight, and Saturday and Sunday, 10 am to midnight. Phone: (47) 3367-4042 / (47) 3363-2329. Trams run along the Atlântica and Brasil avenues, where passengers can get off at any point on their itinerary. Another option is to take the Linha 114, along the gardens that go from the Praia dos Amores to the Praia do Estaleirinho. 16.5 km of excellent quality road with a view of the mountains covered with native forest and the crystalline sea. 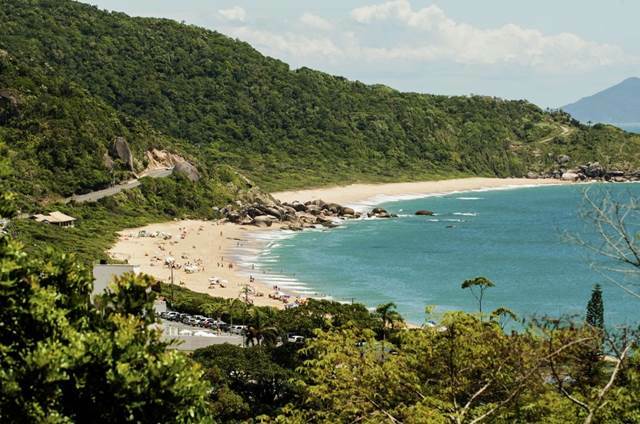 The highway provides access to the beaches at Laranjeiras, Taquarinhas, Taquaras, Pinho, Estaleiro and Estaleirinho. There are various bars and restaurants at this site, as well as a playground in the form of a shipwreck. Av. Atlântica, in front of Parque Unipraias. 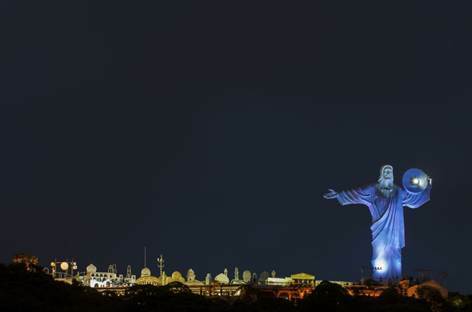 There are two options – one along the seaside, the Cristo Luz and the Praia das Laranjeiras (8 minutes), and another up to Praia do Estaleiro (12 minutes). December to February, daily, from 10 am to 7.30 pm. 280 m track, games room, slot car track, mini karts, bar, diner and barbecues. December to February, daily, from 9 am to midnight; March to November, Monday, 4 pm to 10.30 pm, Tuesday to Sunday and public holidays, 9 am to 10.30 pm. Rua 4.000, 133, Barra Sul. Heliport: near to the schooner port at Barra Sul. Av. Beira-Rio, 1.010, Barra Sul. Phone: (47) 9967-1366. Water Parks and "Fish and Pays"
In the high season an inflatable water park is mounted at Barra Sul. Runs from December until Carnival, daily, from 9 am to 6 pm. Av. Atlântica, in front of Rua 4.600. Tourist complex with cable cars that connect the Praia Central and Praia de Laranjeiras. There are three stations: the initial station at Barra Sul, with a shopping and leisure center, the final station in Laranjeiras, with a pier for vessels and ideal conditions for bathing in the sea and water sports, and the intermediate Mata Atlântica station at the top of the Morro da Aguada (240 m high), with spectacular views from three viewpoints, as well as walkways, a tree climbing circuit, kiosks, bars, restaurants, panoramic auditorium and open air theater. It is at this station that there is a mountain slide that runs along a steep and sinuous 710 m track, reaching a speed of up to 60 km/h in the middle of the forest. December to February, daily, from 9.30 am to 7 pm; in other months, daily from 9.30 am to 6 pm. Av. Atlântica, 6.006, Barra Sul. More than 1200 animals, mini-city inhabited by rabbits and five museums: Archeological (with bones and tools from up to 3 thousand years ago), Craft (with more than 700 pieces of ceramics, rattan, wood and straw), Oceanographic (with a permanent exhibition of marine species), Taxidermy and Skeleton (with stuffed animals) and Fishing Museum (with equipment and vessels used by locals). December to February, daily, 9 am to 7.30 pm; March to November, daily, 9 am to 5.30 pm. 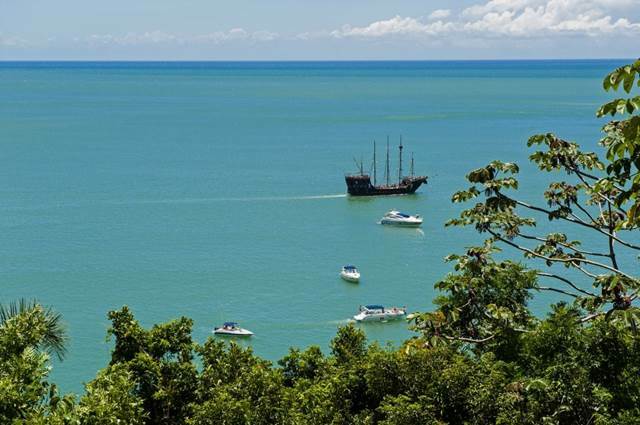 Themed tour with actors dressed as pirates, from the mouth of the Rio Camboriú (Barra Sul), passing the Ilha das Cabras and arriving at Praia de Laranjeiras. During the summer, the vessels leave hourly (from 9 am to 5 pm), every day. In the offseason, the boats leave at 10 am, 2 pm and 16 pm. Children up to five years accompanied by their parents travel free. Its 7 km seaside is sought after for walks, running, fishing and for practicing sports such as volley, football, racquetball, foot volleyball, and bowls. 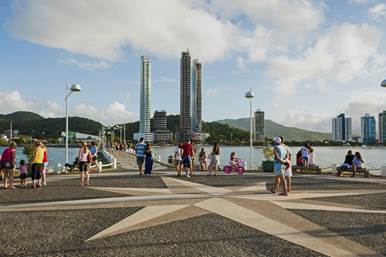 The Avenida Atlântica, completely urbanized, offers various stores, restaurants, kiosks, bars, ice cream parlors and diners. To the north of Praia Central, two small beaches can be accessed using trails, the Buraco beach and the Canto beach. The Estrada da Rainha leads to the Praia dos Amores (Itajaí), which offers guesthouses, restaurants, bars and perfect conditions for surfing. Beach with calm and transparent waters, with access via tram or schooner. Ecotourism options. Located 6 km from the Center. Both have uneven beaches, with calm yet deep water, perfect for fishing. Conserve the wild landscape. Located 8 km from the Center. 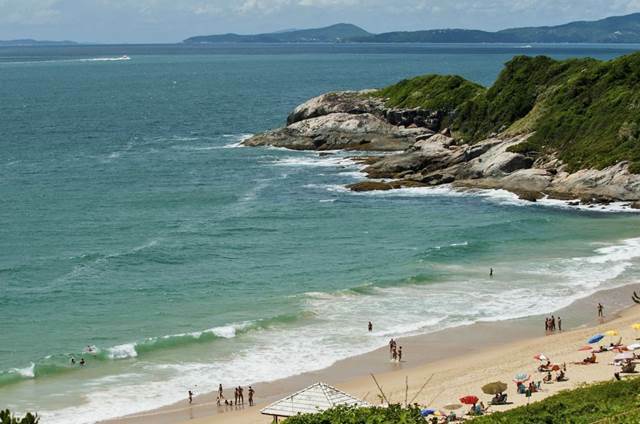 First official naturist beach in Brazil, surrounded by rocky coast that increases the privacy of visitors. There is a campsite, guesthouses, restaurants and bars. The sea is a bit more agitated, with preserved coastlines and vegetation. 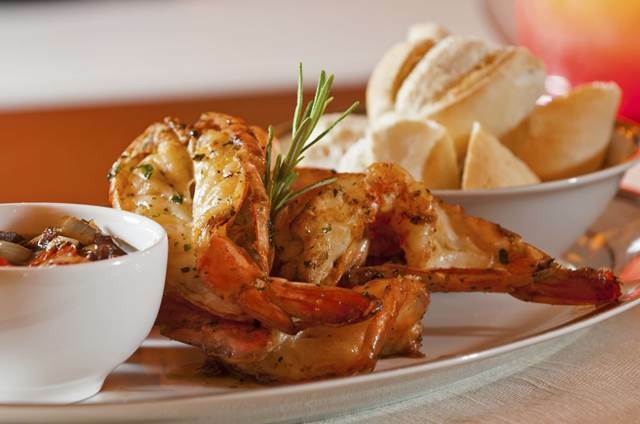 Surrounded by urban centers, there are hotels, guesthouses, bars and restaurants. Located 11 km and 12 km from the Center, respectively. Exhibitions of paintings, photograph and book launches. Monday to Friday, 1 pm to 7pm. Phone: (47) 3366-5491 / (47) 3366-5325. Protected as historical heritage of the state and town, it was the first church to be erected in the city in 1863. It maintains the colonial architecture and baroque pieces donated by the Imperial Family. Rua Manoel Ribeiro dos Santos, s/n, Bairro da Barra (en route from Rodovia Interpraias). In January and February, the 9 pm mass on Sundays is celebrated in Spanish. 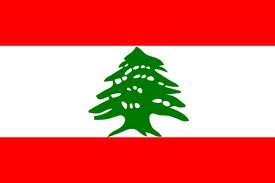 Holds the historical records of the town and the region. Located on the last floor of the Machado de Assis Municipal Library. Monday to Friday, 8.30 am to 7 pm. 3ª Avenida, esquina com a Rua 2.500, Centro. Area for 200 stands and capacity for up to 5 thousand people. BR-101, Km 137, anexo ao Parque Cyro Gevaerd. Phone: (47) 3367-0033. Auditorium seating 700, and 3 rooms. Av. Central, 335, Centro. Phone: (47) 3367-8140 / (47) 3367-0988. Offers an events center with various areas, the largest holding 1.2 thousand people. Av. Rui Barbosa, 1.000 (Estrada da Rainha), Praia dos Amores. Phone: (47) 3261-0300. Auditorium for 1.2 thousand people, and 8 rooms. Av. Brasil, 1.500, Centro. Phone: (47) 3261-5000. The firework display undertake by boats spread across the see thrills the spectators on the Praia Central. The 80 m Pontal Norte waterfall can also be seen by the entire city. Street blocks, child carnival and national shows on the seaside. At Pontal Norte during Carnival. Barra Sul, Pontal Norte, Praça Tamandaré, the Avenida Central boardwalk and the main avenues in the city are illuminated and decorate at Christmas. 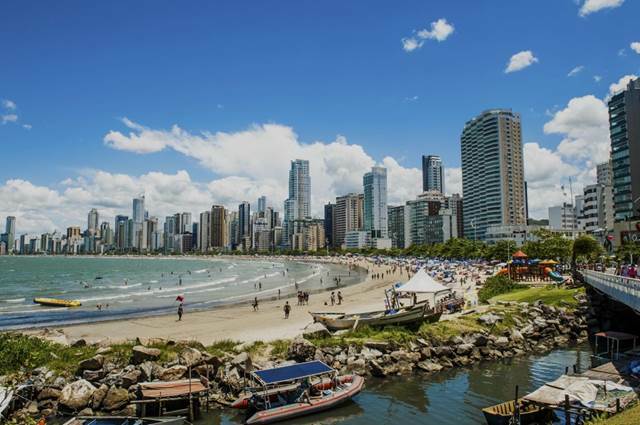 In addition to special decoration throughout the city, there are attractions such as the Rabbit House at Pontal Norte; the bunny sportsman at Barra Sul; and the Rabbit Town at Praça Tamandaré. During Easter. At an altitude of 80 m, it permits safe and peaceful paragliding. Tandem parachute flights can be undertaken for approximately 15 minutes with experienced pilots (including children over 5 years). Areas for paragliding owned by the Atalaia Paragliding Club (Atalaia Paragliding Club). Av. Carlos Drummond de Andrade, 327, sala 101, Praia dos Amores. Rua Domingos Rampelotti, 2.505, São Roque. 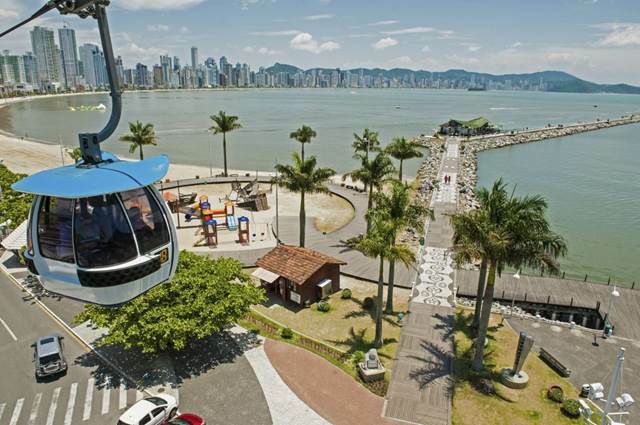 Canopy tour at a height of 130 m culminating in a 32 meter long zip line at a height of 15 m. There are also suspended walkways for ecological walks through the forest, as well as kiosks for snacks, ice creams, souvenir stores and 3 viewpoints with spectacular views of Balneário Camboriú. December to February, daily, from 9.30 am to 7 pm, other months, daily, from 9.30 am to 6 pm. Av. Atlântica, 6.006, Barra Sul, Unipraias. Access by the Praia de Laranjeiras, 6 km from the Center. There are different trails through the native vegetation, totaling around 40 minutes. We can highlight the Caranguejos Trail (1.1 km), with walkways over flood areas; the Bromeliad Garden, with 40 different species; the Natural Pharmacy, where you can take some samples of the teas produced at the location. Daily, from 1 pm to 5 pm. Rua Angelina, s/n, Bairro dos Municípios. There are the main locations for practicing this sport. There are sites to hire surfboards.